The Best Vintage Podcasts from thousands of Vintage Podcasts on the web using search and social metrics. Subscribe to these audio podcasts because they are actively working to educate, inspire, and empower their readers with frequent updates and high-quality episodes. Vintage Podcast newsletter is a comprehensive summary of the day's most important audio podcasts episodes from the best podcasters on the web, and delivered to your email inbox each morning. To subscribe, simply provide us with your email address. About Podcast Your very own space time portal to all things vintage and retro. The podcast promises to take you to a world inhabited by retro style, classic cars, Bmovies, pin-up girls, vintage fashion, groovy music and a selection of very, very cool guests. About Podcast The original classic gaming podcasts continues its endless quest to explore the history of video games, one game at a time. Retronauts spans more than four decades of vintage gaming greatness. Facebook fans 4,938. Twitter followers 14,322. Facebook fans n/a. Twitter followers 1,046. About Podcast The Star Wars Vintage Rebellion Podcast discusses Star Wars toys from yesteryear by five collectors. Facebook fans 1,098. Twitter followers 219. About Podcast A show about antique, vintage tools and the people who love them. Each episode, they discuss their experiences finding and using specific tools as well as the stories surrounding them. Join them in talks about picking, history and restoration of all tools they love. About Podcast Pre-Loved Podcast is the show about rad vintage style and guests you will want to go thrifting with. Facebook fans 2,102. Twitter followers 865. About Podcast Popular & rare vintage radio programs with brief commentary. Posted weekly. 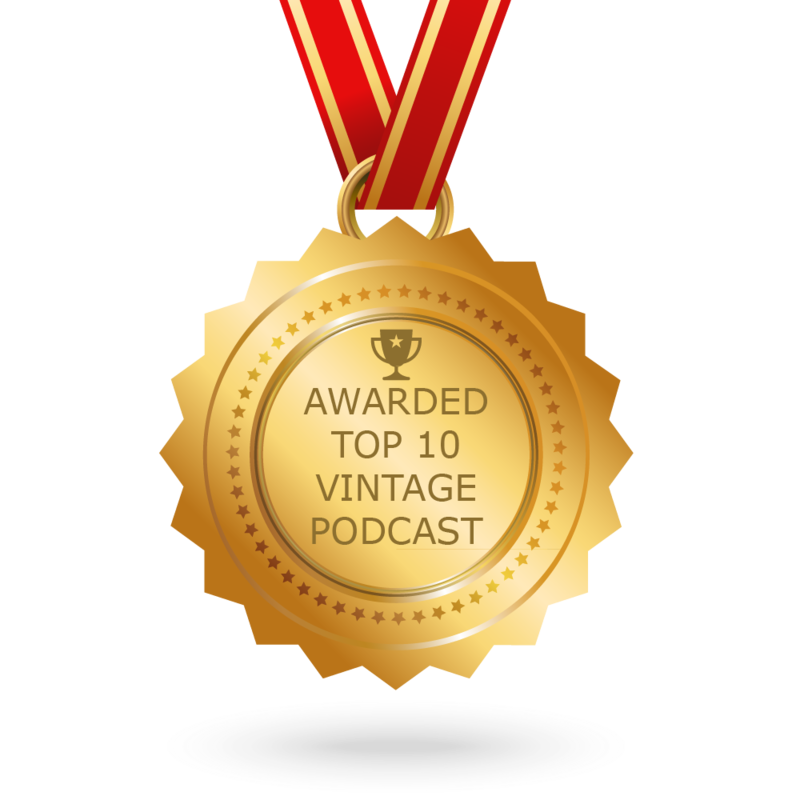 CONGRATULATIONS to every podcast that has made this Top Vintage Podcasts list! This is the most comprehensive list of best Vintage Podcasts on the internet and I’m honoured to have you as part of this! I personally give you a high-five and want to thank you for your contribution to this world.